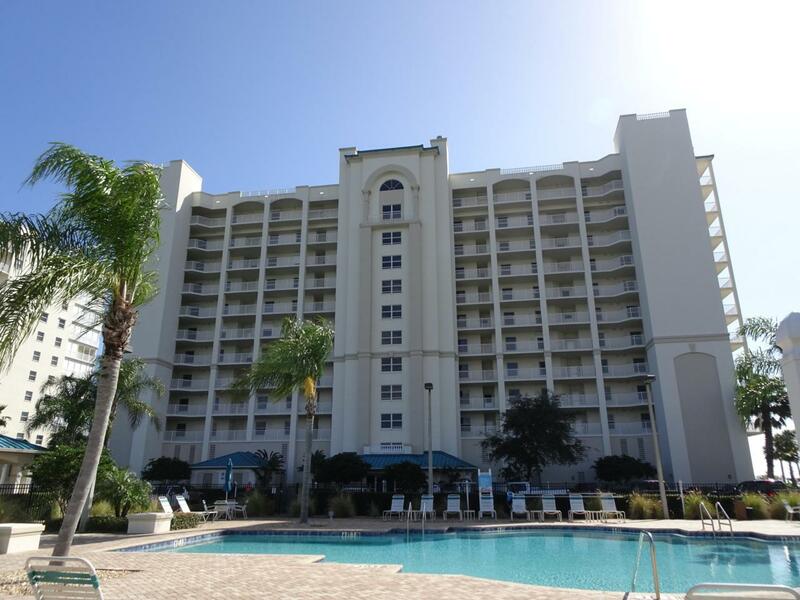 Harbor Point Condo with gorgeous view of the Indian River and Kennedy Space Center. This condo boasts an open floor plan with tile floors through entry and kitchen area and new carpet in living area and bedrooms. Kitchen has granite counter tops with stainless steel appliances, large pantry, breakfast bat and separate dining area. Master bedroom has sliders to balcony, his/hers closets, double vanities, walk in shower, and separate garden tub. Guest bedroom has direct access to guest bath with two closets. Amenities include heated pool, spa, sauna, gym, basketball/tennis courts, club house/rec room. Sandpoint Park is across the street. Black Point Wildlife drive and Playalinda beach are only minutes away. Make this your paradise today!